Many people have never heard of Gigi, much less of Ejigayehu Shibabaw. If you enjoy music that’s different from what you constantly hear on the airwaves or are simply looking for something new, then you should look for Gigi’s music online or in your local record bar. Gigi, whose birthname is Ejigayehu Shibabaw, was born in Chagni, located in the northwestern portion of Ethiopia, some 36+ years ago. In 1998, after living in Kenya for a few years, Gigi moved to the United States. San Francisco is her home away from home. In Singapore, there are four official languages. At the top of the list is English serving as the lingua franca, followed by Malay, Mandarin and Tamil. Singapore is not only multiracial and multicultural it is also a multilingual country. So apart from the four official languages above, there are quite a few more languages and dialects spoken in Singapore today. Probably the most interesting language is not actually a language in the truest sense. It is more a hodgepodge of words and phrases from different languages all rolled into one. What is this “language” called? Singlish! It’s no different from Spanglish (Spanish-English), Chinglish (Chinese-English) and Taglish (Tagalog-English spoken in the Philippines). The Republic of Lebanon is located in the Middle East, bordering the Mediterranean Sea, Syria and Israel. It is a small country of approximately 10,400 sq km with a Mediterranean climate characterized by wet winters and hot dry summers. Mostly remembered by its geo-political issues with its Syrian neighbors and tensions with Iraq, Palestine and Libya, Lebanon is a cultural and linguistically rich country with an important tourism industry and vast economic enterprises. The official language of the country is Arabic, however due to France’s mandate of the country after World War I, close to half of the population speaks French. A dialect called Lebanese-Arabic is spoken by most of its people and other languages such as Greek, Armenian and Assyrian are used mainly by immigrants of these nationalities. The Kingdom of Belgium, located in Western Europe, is a federal state. There are two main regions in Belgium – Flanders which is located in the north and Wallonia in the south. 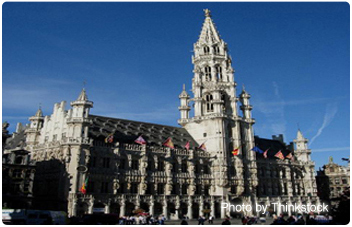 The capital is the city of Brussels. Belgium has three official languages representing the three linguistic communities. One is Dutch, which is colloquially called by the Belgians as Flemish, and the other two are French and German. Then there are three principal regions in Belgium. One is the northern region of Flanders which is known as the Flemish Region. Next is the Walloon Region in the south. Then there is the Brussels-Capital Region. The Flemish Region’s official language is Dutch. Roughly 59% of the Belgian population speaks Flemish. The Walloon Region is the French-speaking region of the country. French-speakers account for approximately 40% of the total population. The German-speakers, which only account for about 1% of the total population, are mostly in the eastern part of the Walloon Region. The only bilingual region is the Brussels-Capital Region. Afghanistan is a country that comprises many ethnic groups. There are roughly 200 different dialects and over 40 languages spoken in Afghanistan. Pashto and Persian Dari are the country’s two official languages. Soldiers from the U.S. and NATO stationed in Afghanistan as well as in neighboring areas of Pakistan often find themselves at a disadvantage because they are not well versed with the language. The United States Joint Forces Command (USJFCOM) has a solution: The Virtual Cultural Awareness Trainer (VCAT) Afghanistan. The Joint Knowledge Online of the USJFCOM unveiled a training program that aims to promote improved language as well as cultural understanding between US/NATO and Afghan military troops as well as with the local population. This online training program will enhance the knowledge of both military and government officials and personnel of Dari and Pashto languages and of Afghan culture. The program uses “advanced learning and gaming technologies” to help students develop language familiarity and cultural knowledge via storytelling, intelligent tutoring, simulated missions, and remediation. The Mapuche is a group of indigenous people living in the southern as well as some central parts of Chile. Considered the biggest ethnic group in the country today, the Mapuche is said to make up around 4% of Chile’s population. The Mapuche can also be found in the southwestern areas of Argentina. The name Mapuche is a combination of two words: “Mapu” meaning land or earth and “che” meaning people. The language of Mapuche is called Mapudungun (also referred to as Mapudungu, Mapuzugun or Araucanian). “Mapu” means land and “dungun,” speech. Nepal. This South Asian country is landlocked by China in the north and India in the east, south and west. Found in the Himalayas, Nepal boasts of the highest point in the world, the Mount Everest. Eight of the tallest mountains on Earth are located in Nepal. The geography is diverse as it is breathtaking. With such rich geography, one can only expect a rich culture as well. The country is home to different races, tribes and ethnic groups, a veritable melting pot of cultures, traditions and language. Although Nepali is the official language, there are many other languages spoken in the country. In the past many years, Nepal has been visited by a number of Hollywood stars for a variety of reasons and causes. The most popular visitor to Nepal is Richard Gere, the star of such films as Officer and A Gentleman, American Gigolo and Pretty Woman. When he first visited Nepal in 1978, Gere’s interest in Buddhism started. He has since made several other visits to Nepal raising awareness and lending his voice and popularity to causes close to both Nepal and Tibet. His latest visit was in 2010, the year before the country was set to kick off Nepal Tourism Year 2011. The Prime Minister of Nepal seriously took into consideration Gere’s tips on how to get more tourists into Nepal and even offered Gere to become the tourism ambassador of the country. True to his beliefs, Gere declined and said that he was there “to seek out people and their warmth, since in the west, men had turned into machines.” Today, he continues to practice Buddhism and remains an avid supporter and friend of the Dalai Lama as well as the Nepalese people. There are many mythologies in the world. Each culture has its own brand of mythology which helped explain the world around them. Mythologies serve an important purpose. Apart from explaining why there’s rain, snow, thunder, volcanic eruptions and other occurrences, mythologies influenced how the people once lived. 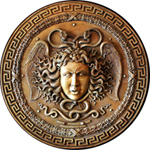 Of all the mythologies in the world, it is the Greek mythology that is probably closest to the people today. Why? Because Greek mythology is prominently felt in one of the most used and spoken language in the world – English. Yes, Greek mythology is present in the English language. When you try to discover the origins of some English words, you might be surprised to find that they originated from the names of gods, goddesses, demi-gods and other characters in Greek mythology.